Pastor David Ndung'u heard the call to the ministry in 1994. In the same year, he joined the Jesus Revival Ministry in Njoro, Kenya. Three years later he became the Assistant Pastor in the same church. He served on the committee that oversaw the building of the sanctuary that is currently occupied by JRM in Njoro Town. 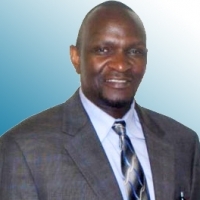 He moved to Naivasha in the year 2000 as the Senior Pastor of the Jesus Revival Church in Karagita Naivasha. He served there with his wife Milkah for two years before locating to the United States. In the United States, he and Milkah joined CCF Ministries in 2003 and they started a Home Bible Study Fellowship in 2005. The fellowship grew from six to thirty people from different churches. It was during this time that Pastor Ndung'u and his wife sought the Lord about opening a church and they launched CCF Nashua on October 3, 2010.